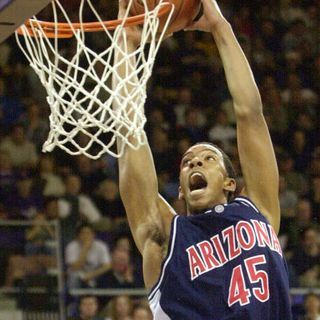 Channing Frye is one of the greatest big men in Arizona Basketball history. During his final season of his 14 year NBA career he sits down with Bear Down Bias and discusses his Arizona Wildcat career. His memories of big wins over Kansas, Gonzaga and UCLA are still fresh in his mind. He also shares his take on the controversial 'Candygate' incident in 2003. Channing loves the ASU/UA rivalry and talks about the 2004 incident when Sparky's children went a bit too far while heckling ... See More the legendary Lute Olson.